Sign up below to receive your FREE FASTer Way to Fat Loss® Starter Kit for Men! Do You Struggle With Your Health? Looking for ways to get rid of the “dad bod” that crept up on you? Does losing weight get harder every year? Do you wish you had more energy for family adventures? Searching for a program that doesn’t require expensive products? Are you ready to feel younger and happier? At the FASTer Way, we empower you with knowledge and strategies that are backed by science and promoted by doctors. Strategies that will help you lose fat, improve your health, and live the lifestyle you really want. Thousands of clients have turned their health, fitness, and weight around with our unique nutrition and exercise cycle. You can do it too when you join a round of the FASTer Way to Fat Loss®. We know how hard it is to get healthy when you follow the typical advice to eat less and move more. We’ve helped thousands of clients learn how to live a truly balanced lifestyle by eating correctly and exercising more efficiently. It’s not about punishment and deprivation. It’s about being smart and intentional. This isn’t a magic pill that allows you to continue a damaging, unhealthy lifestyle while losing a few pounds. In fact, it isn’t about pills at all (or shakes or pre-packaged meals or any other products). We want you to experience the best health of your life through our exclusive nutrition and exercise cycle. Learn cutting-edge strategies including intermittent fasting and carb cycling. Learn about macros and whole food nutrition, and which inflammatory foods to avoid. Learn the most effective way to pair your workouts with the way you eat to maximize fat-burning and minimize risk. turn your body from a sugar burner to a fat burner. improve your insulin and blood sugar. fuel your body properly without ever feeling hungry. feel fit and healthy and ready for any adventure. Amanda Tress, creator of the FASTer Way to Fat Loss®, has coached thousands of clients to incredible health. When so many of her clients wanted to help others in the same way, Amanda created a comprehensive course to certify coaches to spread better health the FASTer Way. Now, with hundreds of coaches and tens of thousands of clients, the FASTer Way to Fat Loss® is a health movement making a big impact. Learn and practice the strategies through a full week we call "prep week". This is actually a bonus week that begins before the six week program kicks-in. The "prep week" is focused on preparing you to maximize the program by fully understanding each aspect of the nutrition and fitness. Participate in the daily accountability group where our community will learn together, support each other, and see incredible gains. Cement your new habits for a lifetime of amazing health and incredible memories with your family. The FASTer Way to Fat Loss® will teach you how to work with your body, not against it. You’ll understand why we implement each different strategy and what it does for you on a scientific level. You’ll see and feel the results, but you’ll also understand why and how you got there. Calorie restriction and over-exercising isn’t an effective long-term strategy for fat loss, weight loss, or overall health. The Faster Way is truly a better way. How much is less-than-ideal health costing you? How much are you spending on new clothes because your shirts and pants are just too tight? How many doctor visits and prescriptions have you had to work into the budget? How much is it worth to finally have the good health and fat loss you’ve wanted for years? You’re right, your current LIFESTYLE could be costing you a lot. The FASTer Way to Fat Loss® is 100% online, which means you can do it from anywhere, even if you’re traveling. You’ll always have access to the comprehensive guide and workout portal. You’ll receive daily personal coaching and get answers to all of your questions. Purchase the FASTer Way to Fat Loss® and receive access to the program portal and training materials when the program begins. Review the comprehensive guide and select the workout plan that best meets your needs (Gym, At-Home, Advanced). Join the FASTer Way to Fat Loss® Facebook men’s community group for accountability and support, or choose to receive daily emails. Transform your health and live life to the fullest. Work out in a smart, effective, and efficient way. Feel leaner, stronger, healthier, and more energetic than you've ever felt before, and feel that way for life. Maintain optimal energy levels throughout the day. Teach your body to burn fat naturally. THE NEXT ROUND OF THE FASTER WAY TO FAT LOSS® BEGINS SOON. How many success stories do you need to hear before you begin your own? A carb cycling program is an intentional variation of carbohydrate intake each week. Most carb cycling plans consist of high carb days and low carb days. The workouts in the program will maximize fat burn while increasing energy levels. Long-term restriction of carbohydrates and calories can lower your metabolic rate and negatively affect your hormone levels. This is a big reason people find themselves at a weight loss plateau. For a short period of time a significantly restrictive diet will bring you results. However, over time it will cause your metabolic rate to decrease and eventuall result in weight gain and frustration. Once that happens you will see your weight loss stop and will need to restrict calories even further to lose more weight, thus lowering your metabolic rate once again. Not only is this a terribly unhealthy way to live, it is also incredibly frustrating. Carb cycling allows for planned higher carb days that increase thyroid output and help control hunger. Because it's a cycle, you will also have low carb days to offset those higher carb days. With this type of cycle you will see fat loss, increased energy levels, and improvements to your overall body composition. Carb cycling improves insulin levels while helping your body store less - and burn more - fat. When paired with Intermittent Fasting and strategic workouts, carb cycling can help you break through those frustrating plateaus so you can look and feel lean, confident, and truly healthy. Not exactly. In the FASTer Way to Fat Loss® we have eating windows, combined with our high and low carb days. We eat all of the time! We simply confine our eating to a shorter window throughout the day, allowing our bodies to enter into the fasted state. Yes. 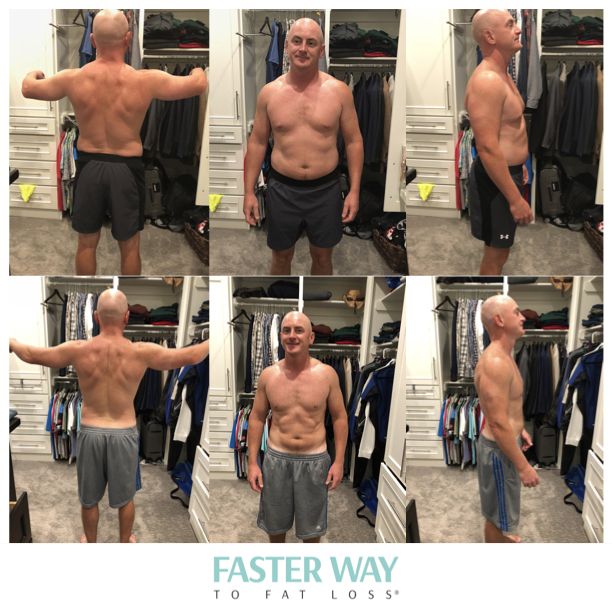 This program is called the Faster Way to Fat Loss® because we focus on implementing cutting-edge nutrition strategies like intermittent fasting. We will be fasting daily. No! Throughout the program we will talk about the importance of probiotics, protein and other supplements like BCAA’s. While we recommend some products to enhance your died, none of them are required to participate. The FASTer Way is focused on fueling your body with real food. Nothing is required but hard work, commitment and a positive mindset. If you are ready to learn a truly healthy lifestyle so you can live the life you want, then this program is for you. If you have more than 100 pounds to lose and have not worked out in a long time than we can make some modifications so you can participate in the FASTer Way. We’ll start with a focus on the nutritional cycle and then ease you into the workouts. We want you to see results but we also want you to be safe and remain injury-free so you can continue building momentum and make big gains in your health and fitness. The FASTer Way to Fat Loss® is designed to work as a whole. We pair our nutritional cycle with our strategic workouts, because that is what gets the very best results. It is absolutely critical that we are fueling our bodies for our workouts, and teaching them how to burn fat instead of glucose throughout the day. If you belong to a gym like Orangetheory, Crossfit, or F45, we highly recommend you do the FASTer Way workouts for the first few weeks. You may add some of your favorite workouts to the cycle, however, it is important that we discuss it to ensure your food cycle is matched accordingly. If you are working with a personal trainer, continue doing so, but again, it will be important to assess your food cycle to ensure you are eating the right amount of macros on the days you are working out! The FASTer Way to Fat Loss® offers both a gym and at-home workout version, plus an advanced version for men starting with a solid fitness base. The gym and at-home versions are equally effective and you are welcome to do either. The FASTer Way to Fat Loss® provides guideline for each day of our food cycle. For example, on Low Carb Day your goal is to consume less than 100g net carbs. You'll learn how to calculate your macros (carbs, fats, protein) and you'll also receive a sample meal plan and recipes. However, you will have the flexibility to consume the foods you truly enjoy. Note: The Faster Way is vegan-friendly. The daily Faster Way to Fat Loss® program reminders are hosted in private Facebook community groups OR can be sent to your email. You can choose which option works better with your preferences and lifestyle. Most clients choose to join the Facebook community group for daily tips and accountability. Our coaches and client specialists are in the Facebook group daily providing encouragement and feedback. A convenient 6 week program that fits your busy schedule (plus the bonus prep week to get you prepared). A comprehensive program guide with resources including sample meal plans, a detailed program overview, and video interviews. The workout lengths vary depending on the day. This plan is meant to be sustainable and we do not expect you to spend hours in the gym. We generally incorporate exercise 6 days per week and rest 1 day per week. Some workouts are only 30 minutes start to finish, and some are closer to 45 or even 60 minutes (i.e. leg day). However, if you only have 30 minutes to workout on a certain day that calls for a longer workout, simply give 100% effort for 30 minutes. Our focus through the Faster Way to Fat Loss® is nutrition. The workouts will help you accelerate and maximize your results, but we do have clients who simply follow the nutrition cycle. You will receive the workouts each week via an online portal. You can pull the portal up on your phone and even print if desired. The workouts are written out and each move is linked to a video demonstration. FWTFL achieves the same fat-burning benefits as the Keto diet but without the heavy restrictions and risks. Both lifestyles offer incredible benefits such as: reduced insulin levels, decreased insulin resistance, better body composition and accelerated fat loss. But the Faster Way To Fat Loss® offers a sustainable lifestyle that’s easy to maintain at home, on vacation and even when eating out. Long-term restriction of carbs can lower the metabolic rate and negatively impact hormones. Our program incorporates carb cycling which removes that risk and allows for planned high-carb days that increase thyroid output and help control hunger. Many people see initial success with the keto diet but find it difficult to sustain the lifestyle. The FWTFL lifestyle is easy to maintain, therefore, so are the results. Bottom line: We leverage the benefits of keto, but offer a healthier, sustainable approach to fat loss. How is FWTFL different from Whole 30? How is FWTFL different from 80 Day Obsession? The 80 Day Obsession is based on timed nutrition (eating certain foods at certain times), a specific eating plan (including required supplements) and specific workouts. 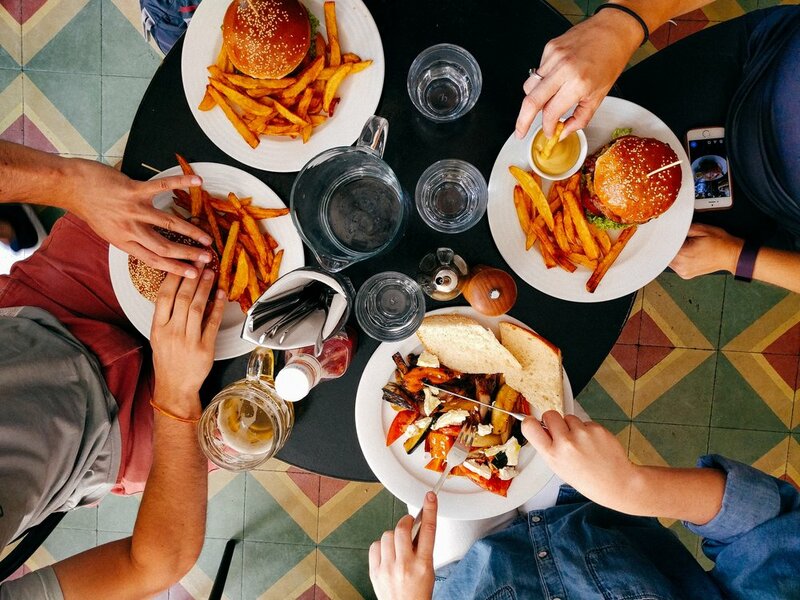 FWTFL focuses on intermittent fasting (eating within a certain time frame), carb cycling (strategic low-carb days during the week), focusing on whole foods (no supplements required) and specific workouts to maximize the nutrition strategies. 80 Day Obsession ends after 80 days, but the FWTFL is easily maintained for life. Most of our clients choose to participate in another 6 week round or the monthly VIP program because they love the accountability, camaraderie and support. The VIP program also provides new workouts and health tips to ensure you stay on track with your FASTer Way lifestyle. Bottom Line: 80 Day Obsession is more rigid, requires supplements, is geared toward intermediate to advanced fitness levels, and doesn’t offer accountability or support. FWTFL is more flexible, does NOT require supplements, utilizes strategies appropriate for any gender, age or fitness level, and offers daily accountability and frequent additional trainings.